Cindy Cassady School of Electrology Health and Beauty in Pensacola, Florida offers an Electrolysis\Laser Hair Removal program to those who want to enter the growing field of Electrolysis & Laser Hair Removal. Students are expected to complete a 320-hour Electrolysis\Laser Hair Removal course approved by the State of Florida. All 200 clinical hours must be completed in school; however home study hours are counted towards diplomacy. The Electrolysis\Laser Hair Removal program provides a diploma. You can also view our catalog for more information. Prospective students are welcome to make an appointment for a tour and receive information about the program. After completing the tour, the student may enroll and begin the 320-hour course. Completion of this Electrolysis\Laser Hair Removal course prepares the students for the Florida Department of Health examination for Electrolysis\Laser Hair Removal licensure. This licensure is required to practice Electrolysis\Laser Hair Removal in the State of Florida. Application must be made to the state by the student. Passage of examination is required before electrolysis services may be performed. Exams may be taken at a testing center near you. An applicant requesting admission must have proof of completion of High School or a GED and be at least 18 years of age. Good eyesight is a necessity. The applicant must have the ability to read and perform simple mathematical calculations. 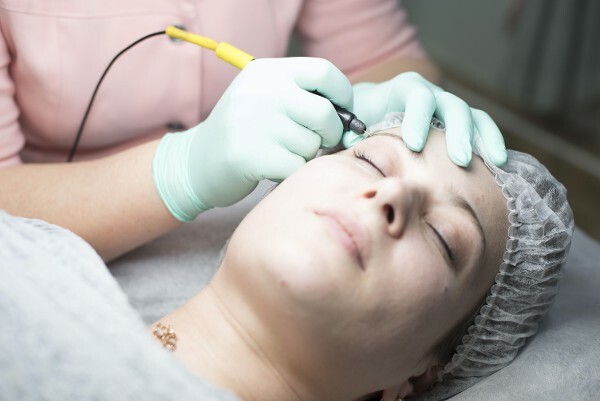 Criminal histories must be reported to the Department of Health, Electrolysis\Laser Hair Removal Council on Electrolysis applications for permission to pursue licensing in a health care position. For more information about the Electrolysis\Laser Hair Removal program, view our catalog.